PICKTHAL: (Saying): Serve none but Allah. Lo! I am unto you from Him a warner and a bringer of good tidings. PICKTHAL: And (bidding you): Ask pardon of your Lord and turn to Him repentant. He will cause you to enjoy a fair estate until a time appointed. He giveth His bounty unto every bountiful one. But if ye turn away, lo! (then) I fear for you the retribution of an awful Day. SHAKIR: And you that ask forgiveness of your Lord, then turn to Him; He will provide you with a goodly provision to an appointed term and bestow His grace on every one endowed with grace, and if you turn back, then surely I fear for you the chastisement of a great day. YUSUFALI: 'To Allah is your return, and He hath power over all things.'" PICKTHAL: Unto Allah is your return, and He is Able to do all things. SHAKIR: To Allah is your return, and He has power over all things. YUSUFALI: Behold! they fold up their hearts, that they may lie hid from Him! Ah even when they cover themselves with their garments, He knoweth what they conceal, and what they reveal: for He knoweth well the (inmost secrets) of the hearts. PICKTHAL: Lo! now they fold up their breasts that they may hide (their thoughts) from Him. At the very moment when they cover themselves with their clothing, Allah knoweth that which they keep hidden and that which they proclaim. Lo! He is Aware of what is in the breasts (of men). SHAKIR: Now surely they fold up their breasts that they may conceal (their enmity) from Him; now surely, when they use their garments as a covering, He knows what they conceal and what they make public; surely He knows what is in the breasts. YUSUFALI: There is no moving creature on earth but its sustenance dependeth on Allah: He knoweth the time and place of its definite abode and its temporary deposit: All is in a clear Record. PICKTHAL: And there is not a beast in the earth but the sustenance thereof dependeth on Allah. He knoweth its habitation and its repository. All is in a clear Record. SHAKIR: And there is no animal in the earth but on Allah is the sustenance of it, and He knows its resting place and its depository all (things) are in a manifest book. YUSUFALI: He it is Who created the heavens and the earth in six Days - and His Throne was over the waters - that He might try you, which of you is best in conduct. But if thou wert to say to them, "Ye shall indeed be raised up after death", the Unbelievers would be sure to say, "This is nothing but obvious sorcery!" PICKTHAL: And He it is Who created the heavens and the earth in six Days - and His Throne was upon the water - that He might try you, which of you is best in conduct. Yet if thou (O Muhammad) sayest: Lo! ye will be raised again after death! those who disbelieve will surely say: This is naught but mere magic. SHAKIR: And He it is Who created the heavens and the earth in six periods-- and His dominion (extends) on the water-- that He might manifest to you, which of you is best in action, and if you say, surely you shall be raised up after death, those who disbelieve would certainly say: This is nothing but clear magic. YUSUFALI: If We delay the penalty for them for a definite term, they are sure to say, "What keeps it back?" Ah! On the day it (actually) reaches them, nothing will turn it away from them, and they will be completely encircled by that which they used to mock at! PICKTHAL: And if We delay for them the doom until a reckoned time, they will surely say: What withholdeth it? Verily on the day when it cometh unto them, it cannot be averted from them, and that which they derided will surround them. SHAKIR: And if We hold back from them the punishment until a stated period of time, they will certainly say: What prevents it? Now surely on the day when it will come to them, it shall not be averted from them and that which they scoffed at shall beset them. YUSUFALI: If We give man a taste of Mercy from Ourselves, and then withdraw it from him, behold! he is in despair and (falls into) blasphemy. PICKTHAL: And if we cause man to taste some mercy from Us and afterward withdraw it from him, lo! he is despairing, thankless. SHAKIR: And if We make man taste mercy from Us, then take it off from him, most surely he is despairing, ungrateful. YUSUFALI: But if We give him a taste of (Our) favours after adversity hath touched him, he is sure to say, "All evil has departed from me:" Behold! he falls into exultation and pride. YUSUFALI: Not so do those who show patience and constancy, and work righteousness; for them is forgiveness (of sins) and a great reward. PICKTHAL: Save those who persevere and do good works. Theirs will be forgiveness and a great reward. SHAKIR: Except those who are patient and do good, they shall have forgiveness and a great reward. YUSUFALI: Perchance thou mayest (feel the inclination) to give up a part of what is revealed unto thee, and thy heart feeleth straitened lest they say, "Why is not a treasure sent down unto him, or why does not an angel come down with him?" But thou art there only to warn! It is Allah that arrangeth all affairs! PICKTHAL: A likely thing, that thou wouldst forsake aught of that which hath been revealed unto thee, and that thy breast should be straitened for it, because they say: Why hath not a treasure been sent down for him, or an angel come with him? Thou art but a warner, and Allah is in charge of all things. SHAKIR: Then, it may be that you will give up part of what is revealed to you and your breast will become straitened by it because they say: Why has not a treasure been sent down upon him or an angel come with him? You are only a warner; and Allah is custodian over all things. SHAKIR: Or, do they say: He has forged it. Say: Then bring ten forged chapters like it and call upon whom you can besides Allah, if you are truthful. YUSUFALI: "If then they (your false gods) answer not your (call), know ye that this revelation is sent down (replete) with the knowledge of Allah, and that there is no god but He! will ye even then submit (to Islam)?" PICKTHAL: And if they answer not your prayer, then know that it is revealed only in the knowledge of Allah; and that there is no Allah save Him. Will ye then be (of) those who surrender? SHAKIR: But if they do not answer you, then know that it is revealed by Allah's knowledge and that there is no god but He; will you then submit? YUSUFALI: Those who desire the life of the present and its glitter,- to them we shall pay (the price of) their deeds therein,- without diminution. PICKTHAL: Whoso desireth the life of the world and its pomp, We shall repay them their deeds herein, and therein they will not be wronged. SHAKIR: Whoever desires this world's life and its finery, We will pay them in full their deeds therein, and they shall not be made to. suffer loss in respect of them. YUSUFALI: They are those for whom there is nothing in the Hereafter but the Fire: vain are the designs they frame therein, and of no effect and the deeds that they do! PICKTHAL: Those are they for whom is naught in the Hereafter save the Fire. (All) that they contrive here is vain and (all) that they are wont to do is fruitless. SHAKIR: These are they for whom there is nothing but fire in the hereafter, and what they wrought in it shall go for nothing, and vain is what they do. YUSUFALI: Can they be (like) those who accept a Clear (Sign) from their Lord, and whom a witness from Himself doth teach, as did the Book of Moses before it,- a guide and a mercy? They believe therein; but those of the Sects that reject it,- the Fire will be their promised meeting-place. Be not then in doubt thereon: for it is the truth from thy Lord: yet many among men do not believe! PICKTHAL: Is he (to be counted equal with them) who relieth on a clear proof from his Lord, and a witness from Him reciteth it, and before it was the Book of Moses, an example and a mercy? Such believe therein, and whoso disbelieveth therein of the clans, the Fire is his appointed place. So be not thou in doubt concerning it. Lo! it is the Truth from thy Lord; but most of mankind believe not. SHAKIR: Is he then who has with him clear proof from his Lord, and a witness from Him recites it and before it (is) the Book of Musa, a guide and a mercy? These believe in it; and whoever of the (different) parties disbelieves in it, surely it is the truth from your Lord, but most men do not believe. SHAKIR: And who is more unjust than he who forges a lie against Allah? These shall be brought before their Lord, and the witnesses shall say: These are they who lied against their Lord. Now surely the curse of Allah is on the unjust. YUSUFALI: "Those who would hinder (men) from the path of Allah and would seek in it something crooked: these were they who denied the Hereafter!" PICKTHAL: Who debar (men) from the way of Allah and would have it crooked, and who are disbelievers in the Hereafter. 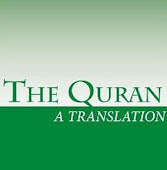 SHAKIR: Who turn away from the path of Allah and desire to make it crooked; and they are disbelievers in the hereafter. YUSUFALI: They will in no wise frustrate (His design) on earth, nor have they protectors besides Allah! Their penalty will be doubled! They lost the power to hear, and they did not see! PICKTHAL: Such will not escape in the earth, nor have they any protecting friends beside Allah. For them the torment will be double. They could not bear to hear, and they used not to see. SHAKIR: These shall not escape in the earth, nor shall they have any guardians besides Allah; the punishment shall be doubled for them, they could not bear to hear and they did not see. YUSUFALI: They are the ones who have lost their own souls: and the (fancies) they invented have left them in the lurch! PICKTHAL: Such are they who have lost their souls, and that which they used to invent hath failed them. SHAKIR: These are they who have lost their souls, and what they forged is gone from them. YUSUFALI: Without a doubt, these are the very ones who will lose most in the Hereafter! PICKTHAL: Assuredly in the Hereafter they will be the greatest losers. SHAKIR: Truly in the hereafter they are the greatest losers. YUSUFALI: But those who believe and work righteousness, and humble themselves before their Lord,- They will be companions of the gardens, to dwell therein for aye! PICKTHAL: Lo! those who believe and do good works and humble themselves before their Lord: such are rightful owners of the Garden; they will abide therein. SHAKIR: Surely (as to) those who believe and do good and humble themselves to their Lord, these are the dwellers of the garden, in it they will abide. YUSUFALI: These two kinds (of men) may be compared to the blind and deaf, and those who can see and hear well. Are they equal when compared? Will ye not then take heed? PICKTHAL: The similitude of the two parties is as the blind and the deaf and the seer and the hearer. Are they equal in similitude? Will ye not then be admonished? SHAKIR: The likeness of the two parties is as the blind and the deaf and the seeing and the hearing: are they equal in condition? Will you not then mind? PICKTHAL: And We sent Noah unto his folk (and he said): Lo! I am a plain warner unto you. YUSUFALI: "That ye serve none but Allah: Verily I do fear for you the penalty of a grievous day." PICKTHAL: That ye serve none, save Allah. Lo! I fear for you the retribution of a painful Day. SHAKIR: That you shall not serve any but Allah, surely I fear for you the punishment of a painful day. YUSUFALI: But the chiefs of the Unbelievers among his people said: "We see (in) thee nothing but a man like ourselves: Nor do we see that any follow thee but the meanest among us, in judgment immature: Nor do we see in you (all) any merit above us: in fact we thing ye are liars!" PICKTHAL: The chieftains of his folk, who disbelieved, said: We see thee but a mortal like us, and we see not that any follow thee save the most abject among us, without reflection. We behold in you no merit above us - nay, we deem you liars. SHAKIR: But the chiefs of those who disbelieved from among his people said: We do not consider you but a mortal like ourselves, and we do not see any have followed you but those who are the meanest of us at first thought and we do not see in you any excellence over us; nay, we deem you liars. YUSUFALI: He said: "O my people! See ye if (it be that) I have a Clear Sign from my Lord, and that He hath sent Mercy unto me from His own presence, but that the Mercy hath been obscured from your sight? shall we compel you to accept it when ye are averse to it? PICKTHAL: He said: O my people! Bethink you, if I rely on a clear proof from my Lord and there hath come unto me a mercy from His presence, and it hath been made obscure to you, can we compel you to accept it when ye are averse thereto? SHAKIR: He said: O my people! tell me if I have with me clear proof from my Lord, and He has granted me mercy from Himself and it has been made obscure to you; shall we constrain you to (accept) it while you are averse from it? YUSUFALI: "And O my people! I ask you for no wealth in return: my reward is from none but Allah: But I will not drive away (in contempt) those who believe: for verily they are to meet their Lord, and ye I see are the ignorant ones! PICKTHAL: And O my people! I ask of you no wealth therefor. My reward is the concern only of Allah, and I am not going to thrust away those who believe - Lo! they have to meet their Lord! - but I see you a folk that are ignorant. YUSUFALI: "And O my people! who would help me against Allah if I drove them away? Will ye not then take heed? PICKTHAL: And, O my people! who would deliver me from Allah if I thrust them away? Will ye not then reflect? SHAKIR: And, O my people! who will help me against Allah if I drive them away? Will you not then mind? YUSUFALI: "I tell you not that with me are the treasures of Allah, nor do I know what is hidden, nor claim I to be an angel. Nor yet do I say, of those whom your eyes do despise that Allah will not grant them (all) that is good: Allah knoweth best what is in their souls: I should, if I did, indeed be a wrong-doer." PICKTHAL: I say not unto you: "I have the treasures of Allah" nor "I have knowledge of the Unseen," nor say I: "Lo! I am an angel!" Nor say I unto those whom your eyes scorn that Allah will not give them good - Allah knoweth best what is in their hearts - Lo! then indeed I should be of the wrong-doers. SHAKIR: And I do not say to you that I have the treasures of Allah and I do not know the unseen, nor do I say that I am an angel, nor do I say about those whom your eyes hold in mean estimation (that) Allah will never grant them (any) good-- Allah knows best what is in their souls-- for then most surely I should be of the unjust. YUSUFALI: They said: "O Noah! thou hast disputed with us, and (much) hast thou prolonged the dispute with us: now bring upon us what thou threatenest us with, if thou speakest the truth!?" PICKTHAL: They said: O Noah! Thou hast disputed with us and multiplied disputation with us; now bring upon us that wherewith thou threatenest us, if thou art of the truthful. SHAKIR: They said: O Nuh! indeed you have disputed with us and lengthened dispute with us, therefore bring to us what you threaten us with, if you are of the truthful ones. YUSUFALI: He said: "Truly, Allah will bring it on you if He wills,- and then, ye will not be able to frustrate it! PICKTHAL: He said: Only Allah will bring it upon you if He will, and ye can by no means escape. YUSUFALI: "Of no profit will be my counsel to you, much as I desire to give you (good) counsel, if it be that Allah willeth to leave you astray: He is your Lord! and to Him will ye return!" PICKTHAL: My counsel will not profit you if I were minded to advise you, if Allah's will is to keep you astray. He is your Lord and unto Him ye will be brought back. SHAKIR: And if I intend to give you good advice, my advice will not profit you if Allah intended that He should leave you to go astray; He is your Lord, and to Him shall you be returned. YUSUFALI: Or do they say, "He has forged it"? Say: "If I had forged it, on me were my sin! and I am free of the sins of which ye are guilty! PICKTHAL: Or say they (again): He hath invented it? Say: If I have invented it, upon me be my crimes, but I am innocent of (all) that ye commit. SHAKIR: Or do they say: He has forged it? Say: If I have forged it, on me is my guilt, and I am clear of that of which you are guilty. YUSUFALI: It was revealed to Noah: "None of thy people will believe except those who have believed already! So grieve no longer over their (evil) deeds. PICKTHAL: And it was inspired in Noah, (saying): No-one of thy folk will believe save him who hath believed already. Be not distressed because of what they do. YUSUFALI: "But construct an Ark under Our eyes and Our inspiration, and address Me no (further) on behalf of those who are in sin: for they are about to be overwhelmed (in the Flood)." PICKTHAL: Build the ship under Our eyes and by Our inspiration, and speak not unto Me on behalf of those who do wrong. Lo! they will be drowned. SHAKIR: And make the ark before Our eyes and (according to) Our revelation, and do not speak to Me in respect of those who are unjust; surely they shall be drowned. YUSUFALI: Forthwith he (starts) constructing the Ark: Every time that the chiefs of his people passed by him, they threw ridicule on him. He said: "If ye ridicule us now, we (in our turn) can look down on you with ridicule likewise! SHAKIR: And he began to make the ark; and whenever the chiefs from among his people passed by him they laughed at him. He said: If you laugh at us, surely we too laugh at you as you laugh (at us). YUSUFALI: "But soon will ye know who it is on whom will descend a penalty that will cover them with shame,- on whom will be unloosed a penalty lasting:"
PICKTHAL: And ye shall know to whom a punishment that will confound him cometh, and upon whom a lasting doom will fall. SHAKIR: So shall you know who it is on whom will come a chastisement which will disgrace him, and on whom will lasting chastisement come down. YUSUFALI: At length, behold! there came Our command, and the fountains of the earth gushed forth! We said: "Embark therein, of each kind two, male and female, and your family - except those against whom the word has already gone forth,- and the Believers." but only a few believed with him. PICKTHAL: (Thus it was) till, when Our commandment came to pass and the oven gushed forth water, We said: Load therein two of every kind, a pair (the male and female), and thy household, save him against whom the word hath gone forth already, and those who believe. And but a few were they who believed with him. SHAKIR: Until when Our command came and water came forth from the valley, We said: Carry in it two of all things, a pair, and your own family-- except those against whom the word has already gone forth, and those who believe. And there believed not with him but a few. YUSUFALI: So he said: "Embark ye on the Ark, In the name of Allah, whether it move or be at rest! For my Lord is, be sure, Oft-Forgiving, Most Merciful!" PICKTHAL: And he said: Embark therein! In the name of Allah be its course and its mooring. Lo! my Lord is Forgiving, Merciful. SHAKIR: And he said: Embark in it, in the name of Allah be its sailing and its anchoring; most surely my Lord is Forgiving, Merciful. YUSUFALI: So the Ark floated with them on the waves (towering) like mountains, and Noah called out to his son, who had separated himself (from the rest): "O my son! embark with us, and be not with the unbelievers!" PICKTHAL: And it sailed with them amid waves like mountains, and Noah cried unto his son - and he was standing aloof - O my son! Come ride with us, and be not with the disbelievers. SHAKIR: And it moved on with them amid waves like mountains; and Nuh called out to his son, and he was aloof: O my son! embark with us and be not with the unbelievers. YUSUFALI: The son replied: "I will betake myself to some mountain: it will save me from the water." Noah said: "This day nothing can save, from the command of Allah, any but those on whom He hath mercy! "And the waves came between them, and the son was among those overwhelmed in the Flood. PICKTHAL: He said: I shall betake me to some mountain that will save me from the water. (Noah) said: This day there is none that saveth from the commandment of Allah save him on whom He hath had mercy. And the wave came in between them, so he was among the drowned. SHAKIR: He said: I will betake myself for refuge to a mountain that shall protect me from the water. Nuh said: There is no protector today from Allah's punishment but He Who has mercy; and a wave intervened between them, so he was of the drowned. YUSUFALI: Then the word went forth: "O earth! swallow up thy water, and O sky! Withhold (thy rain)!" and the water abated, and the matter was ended. The Ark rested on Mount Judi, and the word went forth: "Away with those who do wrong!" PICKTHAL: And it was said: O earth! Swallow thy water and, O sky! be cleared of clouds! And the water was made to subside. And the commandment was fulfilled. And it (the ship) came to rest upon (the mount) Al-Judi and it was said: A far removal for wrongdoing folk! SHAKIR: And it was said: O earth, swallow down your water, and O cloud, clear away; and the water was made to abate and the affair was decided, and the ark rested on the Judi, and it was said: Away with the unjust people. YUSUFALI: And Noah called upon his Lord, and said: "O my Lord! surely my son is of my family! and Thy promise is true, and Thou art the justest of Judges!" PICKTHAL: And Noah cried unto his Lord and said: My Lord! Lo! my son is of my household! Surely Thy promise is the truth and Thou are the Most Just of Judges. SHAKIR: And Nuh cried out to his Lord and said: My Lord! surely my son is of my family, and Thy promise is surely true, and Thou art the most just of the judges. YUSUFALI: He said: "O Noah! He is not of thy family: For his conduct is unrighteous. So ask not of Me that of which thou hast no knowledge! I give thee counsel, lest thou act like the ignorant!" PICKTHAL: He said: O Noah! Lo! he is not of thy household; lo! he is of evil conduct, so ask not of Me that whereof thou hast no knowledge. I admonish thee lest thou be among the ignorant. YUSUFALI: Noah said: "O my Lord! I do seek refuge with Thee, lest I ask Thee for that of which I have no knowledge. And unless thou forgive me and have Mercy on me, I should indeed be lost!" PICKTHAL: He said: My Lord! Lo! in Thee do I seek refuge (from the sin) that I should ask of Thee that whereof I have no knowledge. Unless Thou forgive me and have mercy on me I shall be among the lost. SHAKIR: He said: My Lord! I seek refuge in Thee from asking Thee that of which I have no knowledge; and if Thou shouldst not forgive me and have mercy on me, I should be of the losers. YUSUFALI: The word came: "O Noah! Come down (from the Ark) with peace from Us, and blessing on thee and on some of the peoples (who will spring) from those with thee: but (there will be other) peoples to whom We shall grant their pleasures (for a time), but in the end will a grievous penalty reach them from Us." PICKTHAL: It was said (unto him): O Noah! Go thou down (from the mountain) with peace from Us and blessings upon thee and some nations (that will spring) from those with thee. (There will be other) nations unto whom We shall give enjoyment a long while and then a painful doom from Us will overtake them. SHAKIR: It was said: O Nuh! descend with peace from Us and blessings on you and on the people from among those who are with you, and there shall be nations whom We will afford provisions, then a painful punishment from Us shall afflict them. YUSUFALI: Such are some of the stories of the unseen, which We have revealed unto thee: before this, neither thou nor thy people knew them. So persevere patiently: for the End is for those who are righteous. PICKTHAL: This is of the tidings of the Unseen which We inspire in thee (Muhammad). Thou thyself knewest it not, nor did thy folk (know it) before this. Then have patience. Lo! the sequel is for those who ward off (evil). SHAKIR: These are announcements relating to the unseen which We reveal to you, you did not know them-- (neither) you nor your people-- before this; therefore be patient; surely the end is for those who guard (against evil). YUSUFALI: To the 'Ad People (We sent) Hud, one of their own brethren. He said: "O my people! worship Allah! ye have no other god but Him. (Your other gods) ye do nothing but invent! PICKTHAL: And unto (the tribe of) A'ad (We sent) their brother, Hud. He said: O my people! Serve Allah! Ye have no other Allah save Him. Lo! ye do but invent. SHAKIR: And to Ad (We sent) their brother Hud. He said: O my people! serve Allah, you have no god other than He; you are nothing but forgers (of lies). YUSUFALI: "O my people! I ask of you no reward for this (Message). My reward is from none but Him who created me: Will ye not then understand? PICKTHAL: O my people! I ask of you no reward for it. Lo! my reward is the concern only of Him Who made me. Have ye then no sense? SHAKIR: O my people! I do not ask of you any reward for it; my reward is only with Him Who created me; do you not then understand? YUSUFALI: "And O my people! Ask forgiveness of your Lord, and turn to Him (in repentance): He will send you the skies pouring abundant rain, and add strength to your strength: so turn ye not back in sin!" PICKTHAL: And, O my people! Ask forgiveness of your Lord, then turn unto Him repentant; He will cause the sky to rain abundance on you and will add unto you strength to your strength. Turn not away, guilty! SHAKIR: And, O my people! ask forgiveness of your Lord, then turn to Him; He will send on you clouds pouring down abundance of rain and add strength to your strength, and do not turn back guilty. YUSUFALI: They said: "O Hud! No Clear (Sign) that hast thou brought us, and we are not the ones to desert our gods on thy word! Nor shall we believe in thee! PICKTHAL: They said: O Hud! Thou hast brought us no clear proof and we are not going to forsake our gods on thy (mere) saying, and we are not believers in thee. SHAKIR: We cannot say aught but that some of our gods have smitten you with evil. He said: Surely I call Allah to witness, and do you bear witness too, that I am clear of what you associate (with Allah). YUSUFALI: "Other gods as partners! so scheme (your worst) against me, all of you, and give me no respite. PICKTHAL: Beside Him. So (try to) circumvent me, all of you, give me no respite. YUSUFALI: "I put my trust in Allah, My Lord and your Lord! There is not a moving creature, but He hath grasp of its fore-lock. Verily, it is my Lord that is on a straight Path. PICKTHAL: Lo! I have put my trust in Allah, my Lord and your Lord. Not an animal but He doth grasp it by the forelock! Lo! my Lord is on a straight path. SHAKIR: Surely I rely on Allah, my Lord and your Lord; there is no living creature but He holds it by its forelock; surely my Lord is on the right path. YUSUFALI: "If ye turn away,- I (at least) have conveyed the Message with which I was sent to you. My Lord will make another people to succeed you, and you will not harm Him in the least. For my Lord hath care and watch over all things." PICKTHAL: And if ye turn away, still I have conveyed unto you that wherewith I was sent unto you, and my Lord will set in place of you a folk other than you. Ye cannot injure Him at all. Lo! my Lord is Guardian over all things. SHAKIR: But if you turn back, then indeed I have delivered to you the message with which I have been sent to you, and my Lord will bring another people in your place, and you cannot do Him any harm; surely my Lord is the Preserver of all things. YUSUFALI: So when Our decree issued, We saved Hud and those who believed with him, by (special) Grace from Ourselves: We saved them from a severe penalty. PICKTHAL: And when Our commandment came to pass We saved Hud and those who believed with him by a mercy from Us; We saved them from a harsh doom. SHAKIR: And when Our decree came to pass, We delivered Hud and those who believed with him with mercy from Us, and We delivered them from a hard chastisement. YUSUFALI: Such were the 'Ad People: they rejected the Signs of their Lord and Cherisher; disobeyed His messengers; And followed the command of every powerful, obstinate transgressor. PICKTHAL: And such were A'ad. They denied the revelations of their Lord and flouted His messengers and followed the command of every froward potentate. SHAKIR: And this was Ad; they denied the communications of their Lord, and disobeyed His messengers and followed the bidding of every insolent opposer (of truth). YUSUFALI: And they were pursued by a Curse in this life,- and on the Day of Judgment. Ah! Behold! for the 'Ad rejected their Lord and Cherisher! Ah! Behold! removed (from sight) were 'Ad the people of Hud! PICKTHAL: And a curse was made to follow them in the world and on the Day of Resurrection. Lo! A'ad disbelieved in their Lord. A far removal for A'ad, the folk of Hud! SHAKIR: And they were overtaken by curse in this world and on the resurrection day; now surely Ad disbelieved in their Lord; now surely, away with Ad, the people of Hud. YUSUFALI: To the Thamud People (We sent) Salih, one of their own brethren. He said: "O my people! Worship Allah: ye have no other god but Him. It is He Who hath produced you from the earth and settled you therein: then ask forgiveness of Him, and turn to Him (in repentance): for my Lord is (always) near, ready to answer." PICKTHAL: And unto (the tribe of) Thamud (We sent) their brother Salih. He said: O my people! Serve Allah, Ye have no other Allah save Him. He brought you forth from the earth and hath made you husband it. So ask forgiveness of Him and turn unto Him repentant. Lo! my Lord is Nigh, Responsive. SHAKIR: And to Samood (We sent) their brother Salih. He said: O my people! serve Allah, you have no god other than He; He brought you into being from the earth, and made you dwell in it, therefore ask forgiveness of Him, then turn to Him; surely my Lord is Nigh, Answering. YUSUFALI: They said: "O Salih! thou hast been of us! a centre of our hopes hitherto! dost thou (now) forbid us the worship of what our fathers worshipped? But we are really in suspicious (disquieting) doubt as to that to which thou invitest us." PICKTHAL: They said: O Salih! Thou hast been among us hitherto as that wherein our hope was placed. Dost thou ask us not to worship what our fathers worshipped? Lo! we verily are in grave doubt concerning that to which thou callest us. SHAKIR: They said: O Salih! surely you were one amongst us in whom great expectations were placed before this; do you (now) forbid us from worshipping what our fathers worshipped? And as to that which you call us to, most surely we are in disquieting doubt. YUSUFALI: He said: "O my people! do ye see? if I have a Clear (Sign) from my Lord and He hath sent Mercy unto me from Himself,- who then can help me against Allah if I were to disobey Him? What then would ye add to my (portion) but perdition? PICKTHAL: He said: O my people! Bethink you: if I am (acting) on clear proof from my Lord and there hath come unto me a mercy from Him, who will save me from Allah if I disobey Him? Ye would add to me naught save perdition. YUSUFALI: "And O my people! This she-camel of Allah is a symbol to you: leave her to feed on Allah's (free) earth, and inflict no harm on her, or a swift penalty will seize you!" PICKTHAL: O my people! This is the camel of Allah, a token unto you, so suffer her to feed in Allah's earth, and touch her not with harm lest a near torment seize you. SHAKIR: And, O my people! this will be (as) Allah's she-camel for you, a sign; therefore leave her to pasture on Allah's earth and do not touch her with evil, for then a near chastisement will overtake you. YUSUFALI: But they did ham-string her. So he said: "Enjoy yourselves in your homes for three days: (Then will be your ruin): (Behold) there a promise not to be belied!" PICKTHAL: But they hamstrung her, and then he said: Enjoy life in your dwelling-place three days! This is a threat that will not be belied. SHAKIR: But they slew her, so he said: Enjoy yourselves in your abode for three days, that is a promise not to be belied. YUSUFALI: When Our Decree issued, We saved Salih and those who believed with him, by (special) Grace from Ourselves - and from the Ignominy of that day. For thy Lord - He is the Strong One, and able to enforce His Will. PICKTHAL: So, when Our commandment came to pass, We saved Salih, and those who believed with him, by a mercy from Us, from the ignominy of that day. Lo, thy Lord! He is the Strong, the Mighty. SHAKIR: So when Our decree came to pass, We delivered Salih and those who believed with him by mercy from Us, and (We saved them) from the disgrace of that day; surely your Lord is the Strong, the Mighty. YUSUFALI: As if they had never dwelt and flourished there. Ah! Behold! for the Thamud rejected their Lord and Cherisher! Ah! Behold! removed (from sight) were the Thamud! PICKTHAL: As though they had not dwelt there. Lo! Thamud disbelieved in their Lord. A far removal for Thamud! SHAKIR: As though they had never dwelt in them; now surely did Samood disbelieve in their Lord; now surely, away with Samood. YUSUFALI: There came Our messengers to Abraham with glad tidings. They said, "Peace!" He answered, "Peace!" and hastened to entertain them with a roasted calf. PICKTHAL: And Our messengers cam unto Abraham with good news. They said: Peace! He answered: Peace! and delayed not to bring a roasted calf. SHAKIR: And certainly Our messengers came to Ibrahim with good news. They said: Peace. Peace, said he, and he made no delay in bringing a roasted calf. YUSUFALI: But when he saw their hands went not towards the (meal), he felt some mistrust of them, and conceived a fear of them. They said: "Fear not: We have been sent against the people of Lut." PICKTHAL: And when he saw their hands reached not to it, he mistrusted them and conceived a fear of them. They said: Fear not! Lo! we are sent unto the folk of Lot. SHAKIR: But when he saw that their hands were not extended towards it, he deemed them strange and conceived fear of them. . They said: Fear not, surely we are sent to Lut's people. YUSUFALI: And his wife was standing (there), and she laughed: But we gave her glad tidings of Isaac, and after him, of Jacob. PICKTHAL: And his wife, standing by laughed when We gave her good tidings (of the birth) of Isaac, and, after Isaac, of Jacob. SHAKIR: And his wife was standing (by), so she laughed, then We gave her the good news of Ishaq and after Ishaq of (a son's son) Yaqoub. YUSUFALI: She said: "Alas for me! shall I bear a child, seeing I am an old woman, and my husband here is an old man? That would indeed be a wonderful thing!" PICKTHAL: She said: Oh woe is me! Shall I bear a child when I am an old woman, and this my husband is an old man? Lo! this is a strange thing! SHAKIR: She said: O wonder! shall I bear a son when I am an extremely old woman and this my husband an extremely old man? Most surely this is a wonderful thing. YUSUFALI: They said: "Dost thou wonder at Allah's decree? The grace of Allah and His blessings on you, o ye people of the house! for He is indeed worthy of all praise, full of all glory!" PICKTHAL: They said: Wonderest thou at the commandment of Allah? The mercy of Allah and His blessings be upon you, O people of the house! Lo! He is Owner of Praise, Owner of Glory! SHAKIR: They said: Do you wonder at Allah's bidding? The mercy of Allah and His blessings are on you, O people of the house, surely He is Praised, Glorious. YUSUFALI: When fear had passed from (the mind of) Abraham and the glad tidings had reached him, he began to plead with us for Lut's people. PICKTHAL: And when the awe departed from Abraham, and the glad news reached him, he pleaded with Us on behalf of the folk of Lot. SHAKIR: So when fear had gone away from Ibrahim and good news came to him, he began to plead with Us for Lut's people. YUSUFALI: For Abraham was, without doubt, forbearing (of faults), compassionate, and given to look to Allah. PICKTHAL: Lo! Abraham was mild, imploring, penitent. YUSUFALI: O Abraham! Seek not this. The decree of thy Lord hath gone forth: for them there cometh a penalty that cannot be turned back! PICKTHAL: (It was said) O Abraham! Forsake this! Lo! thy Lord's commandment hath gone forth, and lo! there cometh unto them a doom which cannot be repelled. SHAKIR: O Ibrahim! leave off this, surely the decree of your Lord has come to pass, and surely there must come to them a chastisement that cannot be averted. YUSUFALI: When Our messengers came to Lut, he was grieved on their account and felt himself powerless (to protect) them. He said: "This is a distressful day." PICKTHAL: And when Our messengers came unto Lot, he was distressed and knew not how to protect them. He said: This is a distressful day. SHAKIR: And when Our messengers came to Lut, he was grieved for them, and he lacked strength to protect them, and said: This is a hard day. YUSUFALI: And his people came rushing towards him, and they had been long in the habit of practising abominations. He said: "O my people! Here are my daughters: they are purer for you (if ye marry)! Now fear Allah, and cover me not with shame about my guests! Is there not among you a single right-minded man?" PICKTHAL: And his people came unto him, running towards him - and before then they used to commit abominations - He said: O my people! Here are my daughters! They are purer for you. Beware of Allah, and degrade me not in (the person of) my guests. Is there not among you any upright man? SHAKIR: And his people came to him, (as if) rushed on towards him, and already they did evil deeds. He said: O my people! these are my daughters-- they are purer for you, so guard against (the punishment of) Allah and do not disgrace me with regard to my guests; is there not among you one right-minded man? YUSUFALI: They said: "Well dost thou know we have no need of thy daughters: indeed thou knowest quite well what we want!" PICKTHAL: They said: Well thou knowest that we have no right to thy daughters, and well thou knowest what we want. SHAKIR: They said: Certainly you know that we have no claim on your daughters, and most surely you know what we desire. YUSUFALI: He said: "Would that I had power to suppress you or that I could betake myself to some powerful support." PICKTHAL: He said: Would that I had strength to resist you or had some strong support (among you)! SHAKIR: He said: Ah! that I had power to suppress you, rather I shall have recourse to a strong support. YUSUFALI: (The Messengers) said: "O Lut! We are Messengers from thy Lord! By no means shall they reach thee! now travel with thy family while yet a part of the night remains, and let not any of you look back: but thy wife (will remain behind): To her will happen what happens to the people. Morning is their time appointed: Is not the morning nigh?" PICKTHAL: (The messengers) said: O Lot! Lo! we are messengers of thy Lord; they shall not reach thee. So travel with thy people in a part of the night, and let not one of you turn round - (all) save thy wife. Lo! that which smiteth them will smite her (also). Lo! their tryst is (for) the morning. Is not the morning nigh? SHAKIR: They said: O Lut! we are the messengers of your Lord; they shall by no means reach you; so remove your followers in a part of the night-- and let none of you turn back-- except your wife, for surely whatsoever befalls them shall befall her; surely their appointed time is the morning; is not the morning nigh? SHAKIR: So when Our decree came to pass, We turned them upside down and rained down upon them stones, of what had been decreed, one after another. YUSUFALI: Marked as from thy Lord: Nor are they ever far from those who do wrong! PICKTHAL: Marked with fire in the providence of thy Lord (for the destruction of the wicked). And they are never far from the wrong-doers. SHAKIR: Marked (for punishment) with your Lord and it is not far off from the unjust. YUSUFALI: To the Madyan People (We sent) Shu'aib, one of their own brethren: he said: "O my people! worship Allah: Ye have no other god but Him. And give not short measure or weight: I see you in prosperity, but I fear for you the penalty of a day that will compass (you) all round. PICKTHAL: And unto Midian (We sent) their brother Shu'eyb. He said: O my people! Serve Allah. Ye have no other Allah save Him! And give not short measure and short weight. Lo! I see you well-to-do, and lo! I fear for you the doom of a besetting Day. SHAKIR: And to Madyan (We sent) their brother Shu'aib. He said: O my people! serve Allah, you have no god other than He, and do not give short measure and weight: surely I see you in prosperity and surely I fear for you the punishment of an all-encompassing day. YUSUFALI: "And O my people! give just measure and weight, nor withhold from the people the things that are their due: commit not evil in the land with intent to do mischief. PICKTHAL: O my people! Give full measure and full weight in justice, and wrong not people in respect of their goods. And do not evil in the earth, causing corruption. YUSUFALI: "That which is left you by Allah is best for you, if ye (but) believed! but I am not set over you to keep watch!" PICKTHAL: That which Allah leaveth with you is better for you if ye are believers; and I am not a keeper over you. SHAKIR: What remains with Allah is better for you if you are believers, and I am not a keeper over you. YUSUFALI: They said: "O Shu'aib! Does thy (religion of) prayer command thee that we leave off the worship which our fathers practised, or that we leave off doing what we like with our property? truly, thou art the one that forbeareth with faults and is right-minded!" PICKTHAL: They said: O Shu'eyb! Doth thy way of prayer command thee that we should forsake that which our fathers (used to) worship, or that we (should leave off) doing what we will with our own property. Lo! thou art the mild, the guide to right behaviour. SHAKIR: They said: O Shu'aib! does your prayer enjoin you that we should forsake what our fathers worshipped or that we should not do what we please with regard to our property? Forsooth you are the forbearing, the right-directing one. YUSUFALI: He said: "O my people! see ye whether I have a Clear (Sign) from my Lord, and He hath given me sustenance (pure and) good as from Himself? I wish not, in opposition to you, to do that which I forbid you to do. I only desire (your) betterment to the best of my power; and my success (in my task) can only come from Allah. In Him I trust, and unto Him I look. PICKTHAL: He said: O my people! Bethink you: if I am (acting) on a clear proof from my Lord and He sustaineth me with fair sustenance from Him (how can I concede aught to you)? I desire not to do behind your backs that which I ask you not to do. I desire naught save reform so far as I am able. My welfare is only in Allah. In Him I trust and unto Him I turn (repentant). YUSUFALI: "And O my people! let not my dissent (from you) cause you to sin, lest ye suffer a fate similar to that of the people of Noah or of Hud or of Salih, nor are the people of Lut far off from you! PICKTHAL: And, O my people! Let not the schism with me cause you to sin so that there befall you that which befell the folk of Noah and the folk of Hud, and the folk of Salih; and the folk of Lot are not far off from you. YUSUFALI: "But ask forgiveness of your Lord, and turn unto Him (in repentance): For my Lord is indeed full of mercy and loving-kindness." PICKTHAL: Ask pardon of your Lord and then turn unto Him (repentant). Lo! my Lord is Merciful, Loving. SHAKIR: And ask forgiveness of your Lord, then turn to Him; surely my Lord is Merciful, Loving-kind. YUSUFALI: They said: "O Shu'aib! much of what thou sayest we do not understand! In fact among us we see that thou hast no strength! Were it not for thy family, we should certainly have stoned thee! for thou hast among us no great position!" PICKTHAL: They said: O Shu'eyb! We understand not much of that thou tellest, and lo! we do behold thee weak among us. But for thy family, we should have stoned thee, for thou art not strong against us. SHAKIR: They said: O Shu'aib! we do not understand much of what you say and most surely we see you to be weak among us, and were it not for your family we would surely stone you, and you are not mighty against us. YUSUFALI: He said: "O my people! is then my family of more consideration with you than Allah? For ye cast Him away behind your backs (with contempt). But verily my Lord encompasseth on all sides all that ye do! PICKTHAL: He said: O my people! Is my family more to be honoured by you than Allah? and ye put Him behind you, neglected! Lo! my Lord surroundeth what ye do. YUSUFALI: "And O my people! Do whatever ye can: I will do (my part): Soon will ye know who it is on whom descends the penalty of ignominy; and who is a liar! and watch ye! for I too am watching with you!" PICKTHAL: And, O my people! Act according to your power, lo! I (too) am acting. Ye will soon know on whom there cometh a doom that will abase him, and who it is that lieth. And watch! Lo! I am a watcher with you. SHAKIR: And, O my people! act according to your ability, I too am acting; you will come to know soon who it is on whom will light the punishment that will disgrace him and who it is that is a liar, and watch, surely I too am watching with you. YUSUFALI: As if they had never dwelt and flourished there! Ah! Behold! How the Madyan were removed (from sight) as were removed the Thamud! PICKTHAL: As though they had not dwelt there. A far removal for Midian, even as Thamud had been removed afar! SHAKIR: As though they had never dwelt in them; now surely perdition overtook Madyan as had perished Samood. YUSUFALI: Unto Pharaoh and his chiefs: but they followed the command of Pharaoh and the command of Pharaoh was no right (guide). PICKTHAL: Unto Pharaoh and his chiefs, but they did follow the command of Pharaoh, and the command of Pharaoh was no right guide. SHAKIR: To Firon and his chiefs, but they followed the bidding of Firon, and Firon's bidding was not right-directing. YUSUFALI: He will go before his people on the Day of Judgment, and lead them into the Fire (as cattle are led to water): But woeful indeed will be the place to which they are led! PICKTHAL: He will go before his people on the Day of Resurrection and will lead them to the Fire for watering-place. Ah, hapless is the watering-place (whither they are) led. SHAKIR: He shall lead his people on the resurrection day, and bring them down to the fire; and evil the place to which they are brought. YUSUFALI: And they are followed by a curse in this (life) and on the Day of Judgment: and woeful is the gift which shall be given (unto them)! PICKTHAL: A curse is made to follow them in the world and on the Day of Resurrection. Hapless is the gift (that will be) given (them). SHAKIR: And they are overtaken by curse in this (world), and on the resurrection day, evil the gift which shall be given. YUSUFALI: These are some of the stories of communities which We relate unto thee: of them some are standing, and some have been mown down (by the sickle of time). PICKTHAL: That is (something) of the tidings of the townships (which were destroyed of old). We relate it unto thee (Muhammad). Some of them are standing and some (already) reaped. SHAKIR: This is an account of (the fate of) the towns which We relate to you; of them are some that stand and (others) mown down. YUSUFALI: It was not We that wronged them: They wronged their own souls: the deities, other than Allah, whom they invoked, profited them no whit when there issued the decree of thy Lord: Nor did they add aught (to their lot) but perdition! PICKTHAL: We wronged them not, but they did wrong themselves; and their gods on whom they call beside Allah availed them naught when came thy Lord's command; they added to them naught save ruin. SHAKIR: And We did not do them injustice, but they were unjust to themselves, so their gods whom they called upon besides Allah did not avail them aught when the decree of your Lord came to pass; and they added but to their ruin. YUSUFALI: Such is the chastisement of thy Lord when He chastises communities in the midst of their wrong: grievous, indeed, and severe is His chastisement. PICKTHAL: Even thus is the grasp of thy Lord when He graspeth the townships while they are doing wrong. Lo! His grasp is painful, very strong. SHAKIR: And such is the punishment of your Lord when He punishes the towns while they are unjust; surely His punishment is painful, severe. YUSUFALI: In that is a Sign for those who fear the penalty of the Hereafter: that is a Day for which mankind will be gathered together: that will be a Day of Testimony. PICKTHAL: Lo! herein verily there is a portent for those who fear the doom of the Hereafter. That is a day unto which mankind will be gathered, and that is a day that will be witnessed. SHAKIR: Most surely there is a sign in this for him who fears the chastisement of the hereafter; this is a day on which the people shall be gathered together and this is a day that shall be witnessed. YUSUFALI: Nor shall We delay it but for a term appointed. PICKTHAL: And We defer it only to a term already reckoned. SHAKIR: And We do not delay it but to an appointed term. YUSUFALI: The day it arrives, no soul shall speak except by His leave: of those (gathered) some will be wretched and some will be blessed. PICKTHAL: On the day when it cometh no soul will speak except by His permission; some among them will be wretched, (others) glad. SHAKIR: On the day when it shall come, no soul shall speak except with His permission, then (some) of them shall be unhappy and (others) happy. YUSUFALI: They will dwell therein for all the time that the heavens and the earth endure, except as thy Lord willeth: for thy Lord is the (sure) accomplisher of what He planneth. PICKTHAL: Abiding there so long as the heavens and the earth endure save for that which thy Lord willeth. Lo! thy Lord is Doer of what He will. SHAKIR: Abiding therein so long as the heavens and the earth endure, except as your Lord please; surely your Lord is the mighty doer of what He intends. YUSUFALI: And those who are blessed shall be in the Garden: They will dwell therein for all the time that the heavens and the earth endure, except as thy Lord willeth: a gift without break. PICKTHAL: And as for those who will be glad (that day) they will be in the Garden, abiding there so long as the heavens and the earth endure save for that which thy Lord willeth: a gift unfailing. SHAKIR: And as to those who are made happy, they shall be in the garden, abiding in it as long as the heavens and the earth endure, except as your Lord please; a gift which shall never be cut off. YUSUFALI: Be not then in doubt as to what these men worship. They worship nothing but what their fathers worshipped before (them): but verily We shall pay them back (in full) their portion without (the least) abatement. PICKTHAL: So be not thou in doubt concerning that which these (folk) worship. They worship only as their fathers worshipped aforetime. Lo! we shall pay them their whole due unabated. SHAKIR: Therefore be not in doubt as to what these worship; they do not worship but as their fathers worshipped before; and most surely We will pay them back in full their portion undiminished. YUSUFALI: We certainly gave the Book to Moses, but differences arose therein: had it not been that a word had gone forth before from thy Lord, the matter would have been decided between them, but they are in suspicious doubt concerning it. PICKTHAL: And we verily gave unto Moses the Scripture, and there was strife thereupon; and had it not been for a Word that had already gone forth from thy Lord, the case would have been judged between them, and lo! they are in grave doubt concerning it. SHAKIR: And certainly We gave the book to Musa, but it was gone against; and had not a word gone forth from your Lord, the matter would surely have been decided between them; and surely they are in a disquieting doubt about it. YUSUFALI: And, of a surety, to all will your Lord pay back (in full the recompense) of their deeds: for He knoweth well all that they do. PICKTHAL: And lo! unto each thy Lord will verily repay his works in full. Lo! He is Informed of what they do. SHAKIR: And your Lord will most surely pay back to all their deeds in full; surely He is aware of what they do. YUSUFALI: Therefore stand firm (in the straight Path) as thou art commanded,- thou and those who with thee turn (unto Allah); and transgress not (from the Path): for He seeth well all that ye do. PICKTHAL: So tread thou the straight path as thou art commanded, and those who turn (unto Allah) with thee, and transgress not. Lo! He is Seer of what ye do. SHAKIR: Continue then in the right way as you are commanded, as also he who has turned (to Allah) with you, and be not inordinate (O men! ), surely He sees what you do. YUSUFALI: And incline not to those who do wrong, or the Fire will seize you; and ye have no protectors other than Allah, nor shall ye be helped. PICKTHAL: And incline not toward those who do wrong lest the Fire touch you, and ye have no protecting friends against Allah, and afterward ye would not be helped. SHAKIR: And do not incline to those who are unjust, lest the fire touch you, and you have no guardians besides Allah, then you shall not be helped. PICKTHAL: Establish worship at the two ends of the day and in some watches of the night. Lo! good deeds annul ill-deeds. This is reminder for the mindful. SHAKIR: And keep up prayer in the two parts of the day and in the first hours of the night; surely good deeds take away evil deeds this is a reminder to the mindful. YUSUFALI: And be steadfast in patience; for verily Allah will not suffer the reward of the righteous to perish. PICKTHAL: And have patience, (O Muhammad), for lo! Allah loseth not the wages of the good. SHAKIR: And be patient, for surely Allah does not waste the reward of the good-doers. YUSUFALI: Why were there not, among the generations before you, persons possessed of balanced good sense, prohibiting (men) from mischief in the earth - except a few among them whom We saved (from harm)? But the wrong-doers pursued the enjoyment of the good things of life which were given them, and persisted in sin. PICKTHAL: If only there had been among the generations before you men possessing a remnant (of good sense) to warn (their people) from corruption in the earth, as did a few of those whom We saved from them! The wrong-doers followed that by which they were made sapless, and were guilty. SHAKIR: But why were there not among the generations before you those possessing understanding, who should have forbidden the making of mischief in the earth, except a few of those whom We delivered from among them? And those who were unjust went after what they are made to enjoy of plenty, and they were guilty. YUSUFALI: Nor would thy Lord be the One to destroy communities for a single wrong-doing, if its members were likely to mend. PICKTHAL: In truth thy Lord destroyed not the townships tyrannously while their folk were doing right. SHAKIR: And it did not beseem your Lord to have destroyed the towns tyrannously, while their people acted well. YUSUFALI: If thy Lord had so willed, He could have made mankind one people: but they will not cease to dispute. SHAKIR: And if your Lord had pleased He would certainly have made people a single nation, and they shall continue to differ. YUSUFALI: Except those on whom thy Lord hath bestowed His Mercy: and for this did He create them: and the Word of thy Lord shall be fulfilled: "I will fill Hell with jinns and men all together." PICKTHAL: Save him on whom thy Lord hath mercy; and for that He did create them. And the Word of thy Lord hath been fulfilled: Verily I shall fill hell with the jinn and mankind together. SHAKIR: Except those on whom your Lord has mercy; and for this did He create them; and the word of your Lord is fulfilled: Certainly I will fill hell with the jinn and the men, all together. YUSUFALI: All that we relate to thee of the stories of the messengers,- with it We make firm thy heart: in them there cometh to thee the Truth, as well as an exhortation and a message of remembrance to those who believe. PICKTHAL: And all that We relate unto thee of the story of the messengers is in order that thereby We may make firm thy heart. And herein hath come unto thee the Truth and an exhortation and a reminder for believers. SHAKIR: And all we relate to you of the accounts of the messengers is to strengthen your heart therewith; and in this has come to you the truth and an admonition, and a reminder to the believers. PICKTHAL: And say unto those who believe not: Act according to your power. Lo! We (too) are acting. SHAKIR: And say to those who do not believe: Act according to your state; surely we too are acting. YUSUFALI: "And wait ye! We too shall wait." PICKTHAL: And wait! Lo! We (too) are waiting. SHAKIR: And wait; surely we are waiting also. YUSUFALI: To Allah do belong the unseen (secrets) of the heavens and the earth, and to Him goeth back every affair (for decision): then worship Him, and put thy trust in Him: and thy Lord is not unmindful of aught that ye do. PICKTHAL: And Allah's is the Invisible of the heavens and the earth, and unto Him the whole matter will be returned. So worship Him and put thy trust in Him. Lo! thy Lord is not unaware of what ye (mortals) do. SHAKIR: And Allah's is the unseen in the heavens and the earth, and to Him is returned the whole of the affair; therefore serve Him and rely on Him, and your Lord is not heedless of what you do.